November ushers in a season of gratitude and reflection. As Thanksgiving approaches, I reflect on who we are as Rotarians. We may think of ourselves as ordinary people, but in actuality, we are quite extraordinary! As Rotarians, we have made the choice to devote time, treasure and talent to making a difference in the lives of others in communities near and far. Wherever I visit clubs I meet the kind of people who open up their homes, give up their leisure time, spend hours planning and hosting events—and more, so that others can benefit. I hear people saying, “I can do that!” “We can help” and “Let me show you.” I am grateful to be a part of that kind of positive energy and impact. Paradise Valley Rotary Club members recently distributed dictionaries to every third grade student in the Paradise Valley School District. Nearly 2,600 dictionaries were handed out this year, the 13th year that the club has been involved in the Dictionary Project. 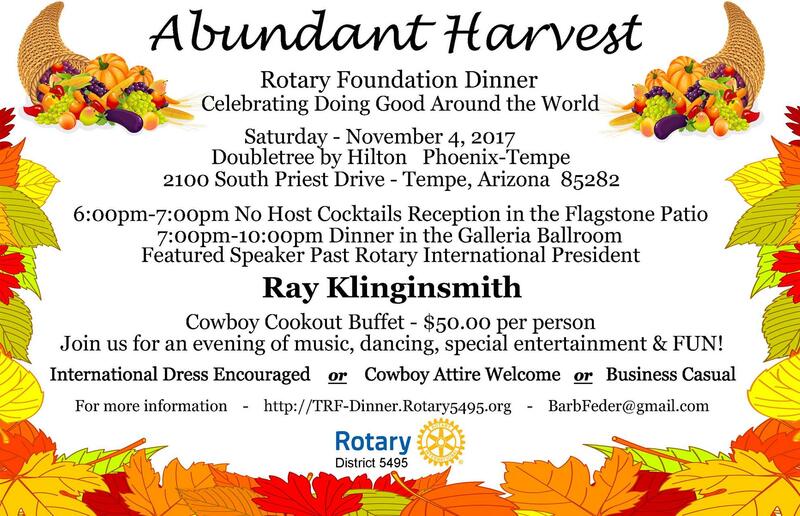 To support its many projects, the Paradise Valley Rotary Club is planning its 45th Annual Western Night at the Merlino Ranch this Friday, November 3. The event’s silent auction will provide funding for the club’s charitable events. The Scottsdale Rotary Club held its annual golf tournament at McCormick Ranch in October. Pictured here, from left, are Scottsdale Mayor Jim Lane, John Abbs, Scott Smith, Jon Chaffee and Karl Lambert. The Sixth Annual Big West Rotaract Conference was held at Cal State in Long Beach October 20-22. ASU Rotaractors Abdul Alkhudhayr, Elise Machado and Emily Vega attended and shared some of their feedback about the experience (below). We are proud to announce that Phoenix Rotaract member Abbey Hawthorne, Big West Rotaract director, completed her two-year term of office at the event. Thanks, Rotaractors, for your leadership! The state of Arizona is leading the way through a private/public partnership plan in utilizing hyperbaric oxygen therapy (HBOT) to treat veterans with traumatic brain injury (TBI). Healing Arizona Veterans (HAV), a charitable organization, has been established to collect donations to treat the first 50 veterans at the two six-person HBOT chambers, one in Tucson and one in Cave Creek. Arizona is unique in the US in having such large-capacity facilities. To learn more about the Arizona effort, read the PDF summary (link). Additional information on HBOT and the opportunity to donate can be found at http://www.healingarizonaveterans.org/. For anyone who has participated in a Caborca PolioPlus trip, it is a great opportunity to take part in one of the primer projects that Rotary International has undertaken, as well as a chance to get to know Rotarians on both sides of the border, and have lots of fun! It’s time to start planning for this popular trip, scheduled for Friday, February 23 through Sunday, February 25, 2018. As a Rotarian in District 5495, you are invited to apply to attend. Below is an overview and information about how you can be selected to attend. 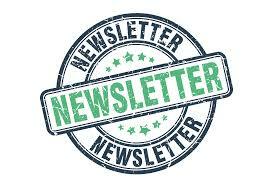 The Squaw Peak Rotary Club, under the leadership of President Brian Shackelford, is having another great year. The club raised over $14,000 with their Football Fever raffle fund raiser and expects to raise another $15,000 with their annual Skeeter McFee Golf Tournament at Stone Creek Golf Course on April 7 of next year. The Arcadia Rotary Club, under the leadership of President Kevin Kovaleski, is growing and thriving at their new location, The Henry, at 44th Street and Camelback. Once a month they also have a social gathering at a local establishment for a fun evening for members, spouses and guests. Why a Rose Parade Float? When Rotary International’s directors approved the first entry in the Tournament of Roses parade over 39 years ago, they saw in it an unrivaled opportunity to bring Rotary’s name into public view. They reasoned that an eye-catching float would capture the interest of broadcast commentators and remind the world of Rotary’s good works. And so it has! 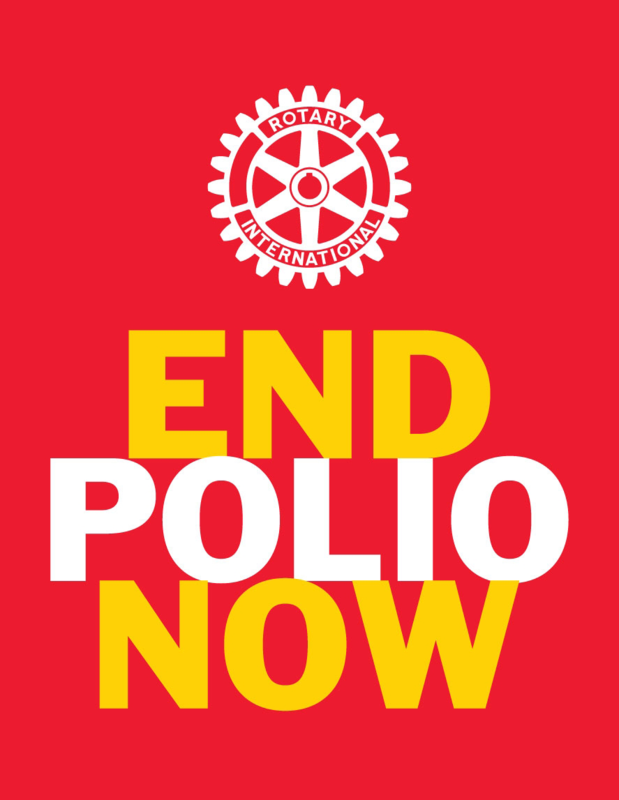 Can Interact clubs help Rotary eradicate polio? You bet they can! 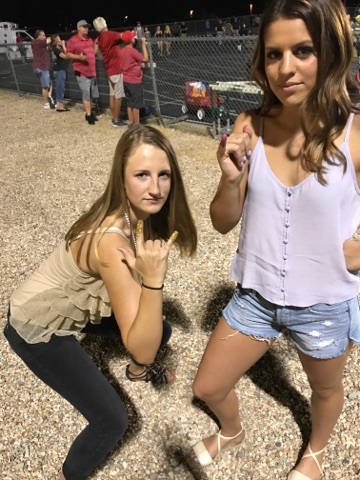 The recent challenge by the Mohave High Interact Club to the Lake Havasu High Interact Club to a “Clash of the Pinkies” raised more than $2,000 for this purpose. When matched two-to-one by the Bill & Melinda Gates Foundation, that translates to an impressive $6,000+ raised to purchase polio vaccines, to help assure that those children inoculated will never be crippled or killed by this devastating disease. The Rotary New Generations Service Exchange (NGSE) is a short-term (one to six months) cultural and professional exchange for college students and young professionals 18 to 30 years old. The NGSE is similar to the Group Study Exchange, but the NGSE applicants pay for their own round trip travel expenses, visa (if necessary) and medical and liability insurance. Last month, one of our fellow Prescott Sunupians brought to our club’s attention a family suddenly thrown into crisis. 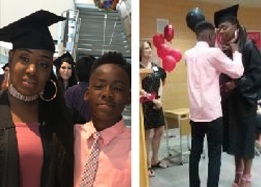 A mother and her son Quincy were bike riding when she was struck by a car a killed. She is survived by her son and husband, a disabled veteran on very low income. District 5495 has a team heading for Sydney, Australia, for a Friendship Exchange that will be 17 days. This is the first exchange 5495 has been on, but the 20th for the former District 5510. This time most of the team in on a ship for 22 days, which ports in Hawaii and some Polynesian Islands. More info coming later. We have two districts joined into one – D5495 – but we still offer two terrific RYLA programs! Same programs, different names – formerly RYLA 5490 is now called Camp Pinerock, and is still held in Prescott over Martin Luther King weekend in January. RYLA 5510 is now called Camp Ponderosa, held in April in Heber. 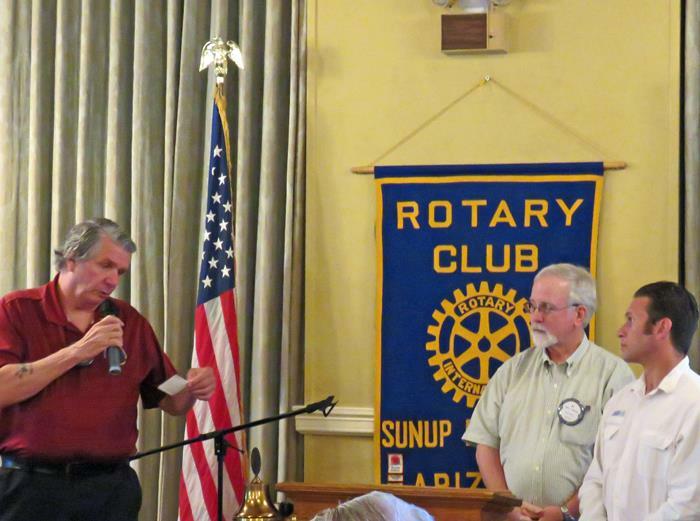 The Squaw Peak Rotary Club expanded their normal dictionary project this year. In addition to distributing over 700 dictionaries to every third grader at five different schools in Phoenix, they also sent 26 Spanish/English Dictionaries to students in the cities of Sonoyta and Puerto Peñasco, Mexico. This extends our previous projects in Mexico helping an orphanage. The dictionary service project has been very popular with the kids and schools in Phoenix, and now they have extended the project internationally. Thanks to Darren Desmond for his leadership in this important service project that touches so many kids. As a community partner in Alli Ortega Empty Bowls 2017, Scottsdale Sunrise Rotary invites you to attend the November 29 event at Scottsdale Community College Cafeteria. Between 11 a.m. and 2 p.m. a handcrafted ceramic bowl and simple pasta lunch are available for $10. All proceeds go to Vista del Camino Social Services to provide basic assistance to Scottsdale residents in need. 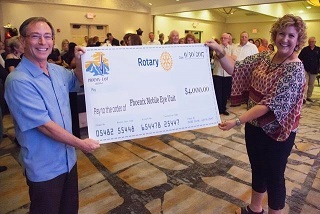 The Phoenix East and Flagstaff Rotary clubs, along with support from a D-5495 grant, presented $4,000 to the Arizona Ophthalmologist Society to supply equipment for the Mobile Eye Unit. For twenty-five years, the Mesa Baseline Rotary Foundation and the Mesa West Rotary Club have sponsored a team of audiologists and doctors that conduct a medical mission to help the people of Guaymas, Mexico with their hearing problems. Although the city has approximately 130,000 citizens, there are no ear, nose and throat surgeons, audiologists or hearing aid dispensers in Guaymas. 3. Take a nap because we will do the rest (mail you a receipt for your taxes). 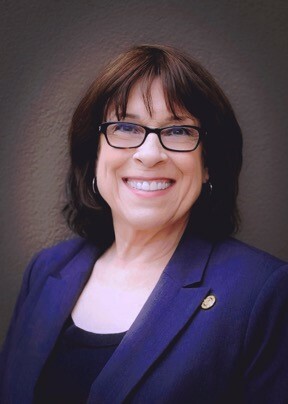 One of the requirements of the district grant that was awarded to United Sound and announced at The Mesa West Rotary Club’s October 5 meeting is that members participate in a work project related to the grant. 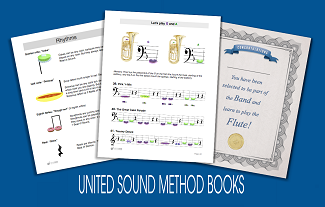 The mission of United Sound is providing musical performance experiences through peer mentorship for students with special needs. Camelback Crossroads, the satellite club of Tempe Rio Salado, was looking for a challenge and a way to engage potential young Rotarians. They will be planting 105 shade trees on Saturday, November 18 from 8:30 a.m. to noon. Rotary International is, first and foremost, an organization of Rotary Clubs. It is Rotary clubs that belong to Rotary International, not individual Rotarians. Individual Rotarians are members of their local Rotary clubs. Whether you are the president of Rotary International, or the most recent Rotary inductee, you are a member of a Rotary club, and not a member of Rotary International. It is the purpose of Rotary International to support the work that Rotary clubs are doing. It is Rotarians, volunteering in their Rotary clubs, who come up with the project ideas, the fund-raising opportunities and the fellowship events. And it is Rotary International that supports them. I just wanted to share how The Rotary Vocational Fund of Arizona (TRVFA) and The Phoenix East Rotary Club have helped change my life and that of my dear boy Kamryn. The year was 2007 and Gift of Life – Arizona, was ready to save another child from Mexico – Alicia. Her heart was suffering from Tetralogy (teh-TRAL-o-je) of Fallot (fah-LO) - a serious congenital heart defect affecting four different areas of the heart. This is a problem, present at birth, that changes the normal flow of blood through the heart and detrimentally affects oxygen levels in the blood. 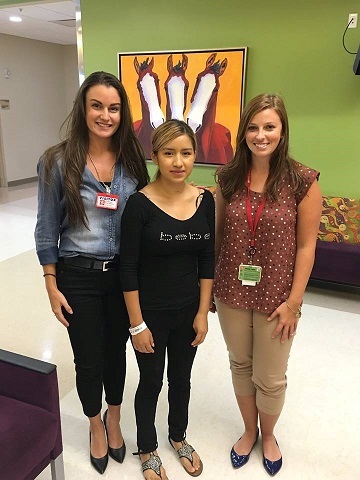 Her case was submitted to Gift of Life – Arizona and successfully received her open heart surgery through St. Joe’s Hospital in Phoenix, Arizona. 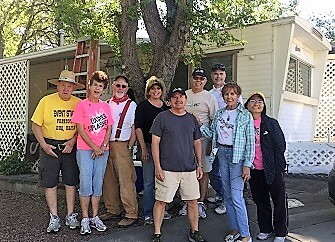 The Rotary Club of Prescott Sunup once again came to the rescue of the elderly and/or disabled by helping a woman living alone who was being threatened with eviction. The Coalition for Compassion and Justice (CCJ), an organization with whom Sunup works closely, contacted the club with an appeal to save a woman’s home from being removed from the mobile home park because she was in violation of the park’s paint code. 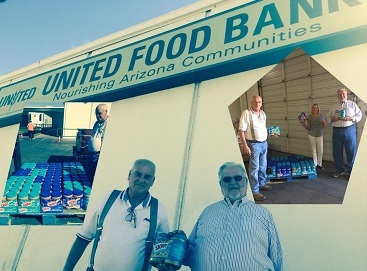 Mesa West Rotarians, Don LaBarge, Polly Cady and President, Allan Cady delivered one hundred 48-oz jars of peanut Butter to United Food Bank October 11, 2017. The Flagstaff club’s Global Grant – “Hepatitis Free Mongolia” – has successfully completed its first of three hepatitis and liver cancer screening trips. This project is savings lives right in front of our eyes. Most of the people they are screening are uninsured and very poor. They would not be able to afford these tests if the Flagstaff club was not making them available for free.